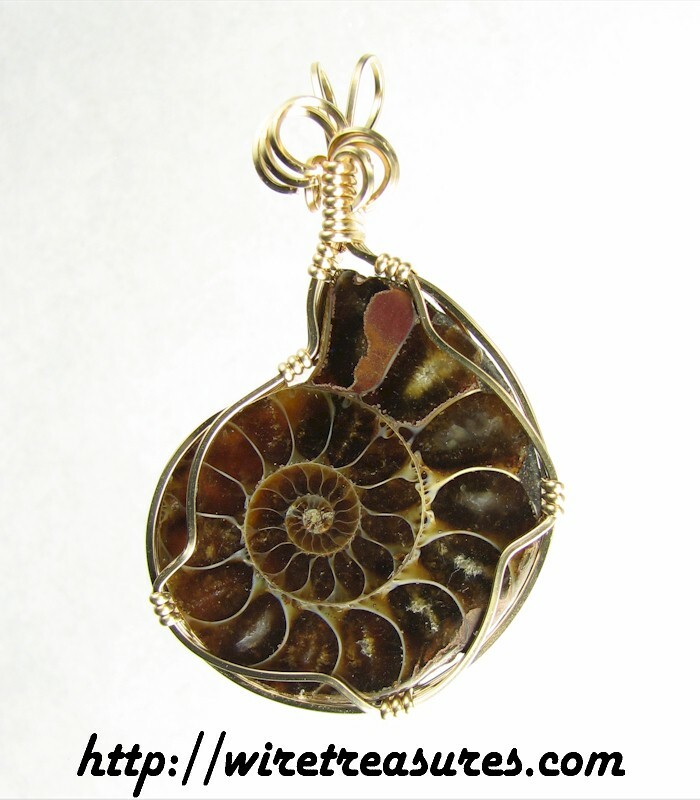 I love these pretty Ammonite fossils (from Madagascar), and they make wonderful pendants! This one is dark and mysterious; the cut surface of the fossil is sealed and polished to a high gloss. It's wrapped in 14K Gold Filled wire with an airburst topper. Yum! You are visitor number 1,184 to this page.